Mx. 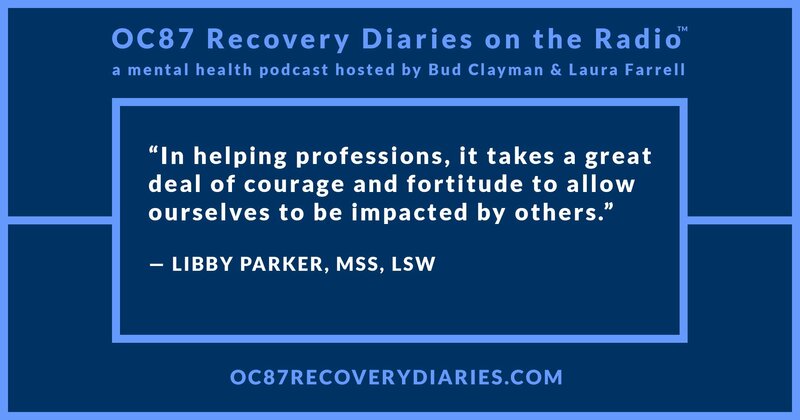 Libby Parker, MSS, LSW is an outpatient therapist and manager of Einstein Health Network’s PRIDE Program, which coordinates and supports various services designed to meet the unique needs of LGBTQ+ identified patients. The PRIDE Program offers LGBTQ+ competent OB/GYN care, hormone therapy, gender-affirming surgical services, outpatient therapy and psychiatry, as well as patient navigation support. As part of this work, Mx. Parker provides consultation services and conducts trainings for a diverse array of professionals including doctors, midwives, human resource specialists, therapists, and psychiatrists. 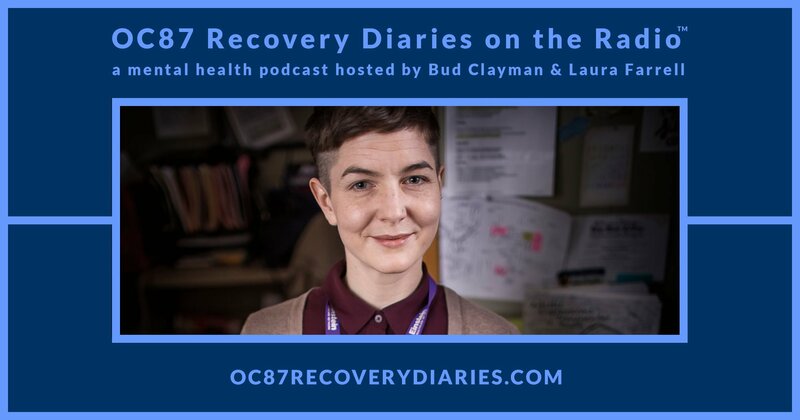 On episode 18 of OC87 Recovery Diaries on the Radio, Laura Farrell talks with Mx. 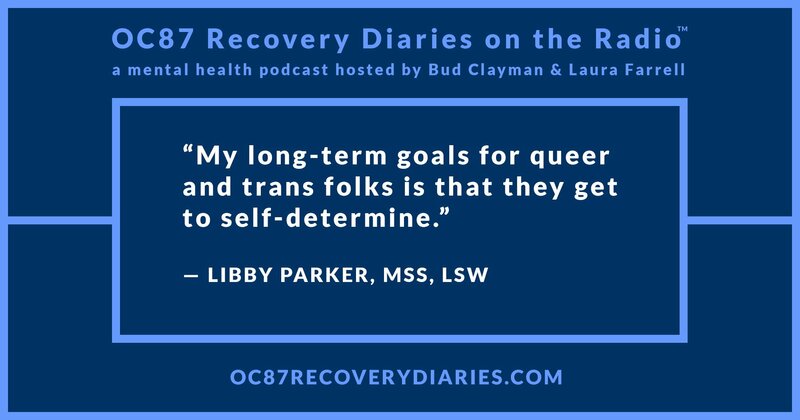 Libby Parker about their life and the challenges of helping LGBTQ+ identified patients access appropriate and competent treatment. Because of the inherent discrimination against this population by the traditional medical health system, patients are naturally apprehensive about seeking help. According to Mx. Parker, a patient who is LGBTQ+ can live within a couple of blocks of a qualified facility, yet may still not seek out treatment because of stigma and misinformation. Stigma runs rampant towards anything or any person who does not meet society’s expectations of what is deemed “normal.” Stigmatized populations can include individuals with mental illness, marginalized minority populations, and members of the LGBTQ+ community. If anyone is going to help this underserved, but increasing, population receive treatment, it’s people like Mx. Parker, who believes that they are blessed to be in this field and be a part of their patients’ lives. Their connection to other human beings is the key to a meaningful connection with their patients. Mx. 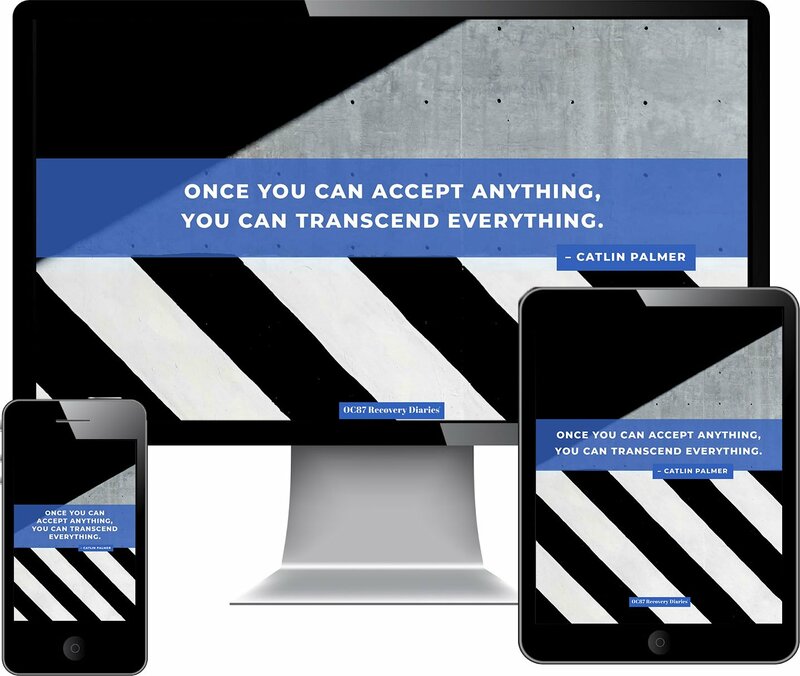 Parker does not present themselves as an omnipotent therapist, but rather as one who will get out of a patient’s way to let that patient help themselves; a beautiful and freeing approach to therapy. Hear about this treatment modality and understand Mx. Parker’s success at changing the mental health landscape for the LGBTQ+ community, which has resulted in the further breaking down of stigmatizing behaviors on the part of the “in power” general population. Rudy Caseres is a mental health advocate who lives with bipolar disorder, depression, and anxiety.